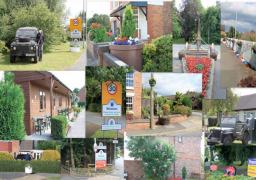 Willaston Neighbourhood Plan What is a Neighbourhood Plan? The Localism Act 2012 has given communities the right to produce a ‘Neighbourhood Plan,’ a community led framework for guiding the future development, regeneration and conservation of an area. Instead of being told what to do, local communities now have the opportunity to influence the future of the place where they live. A Neighbourhood Plan must comply with National Planning Policy as well as UK and European legislation and must have regard to strategic policies at local level, however it can challenge non – strategic local planning policy where local people wish to do so. A Neighbourhood Plan can specify policies and guidance on many aspects of how new development is carried out although it cannot promote less development than that identified for the local area, such as new strategic housing allocations. Willaston will be expected to accommodate some new housing over the next few years and the amount will be decided through the Neighbourhood Plan process. A Neighbourhood Plan for Willaston would become part of the Statutory Development Plan for Cheshire East which means that Cheshire East Council Planners and Government Planning Inspectors would have to take decisions based on the policies in the Neighbourhood Plan. Why is there a need for a Neighbourhood Plan? It was clear with the number of planning applications coming forward, that there is growing pressure to develop land in and around the village for housing, especially in the Green Gap. Not surprisingly Willaston is seen as a great place to live with lots of very good local facilities, an attractive rural environment and with good access to all of the major cities across the North West. Willaston will have to accept some housing development over the next 20 years but we want to be able to control the scale, location and pace of development. In order to do so it is essential that we have an up to date Neighbourhood Plan that reflects the views of the community and contains robust policies to control development. From the previous work on the Parish Plan and the Residents' Survey issued in September 2015 we already know what you like and dislike about the village and what can be improved but we now need your comments and support in drawing up a robust set of policies that will control development in the village over the next 20 years. Your views are very important and at the end of the Neighbourhood Plan process there will be a referendum to approve the plan in which everyone in the village over 18 years of age will be able to vote. Once approved the Neighbourhood Plan becomes a statutory planning document which must be taken into account by both Developers and Cheshire East Council. The Parish Council will be able to use the Plan to ensure that any development proposed is of the right scale, in a sustainable location with the right mix of units, designed and built in accordance with the Village Design Statement to meet local needs. If a development does not meet the policies set out in the Plan it will be refused permission. The Neighbourhood Plan will run until 2030 to coincide with the timescales of the Cheshire East Local Plan, and it will be reviewed as and when the Local Plan is reviewed. © Copyright 2015, Willaston Neighbourhood Planning Group. All rights reserved.